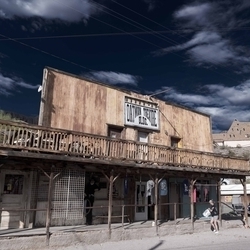 The ghost town is an iconic image of the American West. Surprisingly common, especially across Nevada, California, and Arizona, these towns were once thriving communities, packed with people frequenting hotels, banks, and saloons. However, once their economic sources dried up, eventually their inhabitants abandoned them to find greener pastures elsewhere. The deserted shells of the towns remain as a reminder of days gone by and have become one of the most popular attractions for vacationers who are looking for an insight into life in the Wild West during the 19th century. 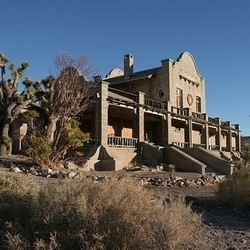 Usually, the result of speculation or mining investments, many of these former boomtowns of the 1800s have now been turned into tourist attractions, and there are many within easy reach of Las Vegas. If you’re looking for a fascinating day trip during your vacation in Sin City, here are some of the best to visit. 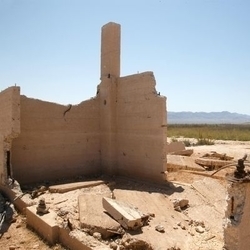 Drive two hours to the northwest of Las Vegas, and you’ll encounter Rhyolite. This town was founded in 1906 and takes its name from a form of volcanic rock. Making its money from the mining of gold and ore, Rhyolite’s population increased to 5,000 residents just two years after it was founded, giving it the title of the third largest city in the state. However, when the mines were determined to have been overvalued, the town went bust. The population dwindled down to just 12 people by 1920. But, its desolated atmosphere has attracted movie producers, as well as tourists, to see what it has to offer. Visitors can see the remains of an old caboose, a schoolhouse, and an old bank, as well as an outdoor sculpture park. 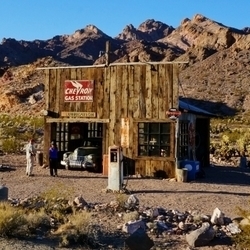 Drive for two hours in the opposite direction and you will find yourself in the town of Oatman, Arizona. Its boom started in 1915 after gold was found in the Black Mountains nearby, netting its finders a cool $10 million. Within just a year, the town’s population grew to more than 3,500 people. However, in under a decade, its mines were virtually depleted, and after a fire destroyed a number of the smaller buildings in the town, it was the beginning of the end for Oatman. Its final death knell rang when Route 66 underwent a relocation through Kingman during the 1950s. This lead to the town becoming mostly abandoned. These days, however, Oatman is more popular than ever, with curious visitors coming to see gunfights that are staged, as well as other historical events that are re-enacted here. 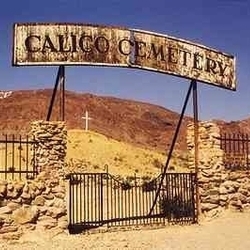 Calico went through a brief boom period during the 1880s following its founding in 1881. By 1896, it had become the biggest silver mining camp in California, with 500 mines producing silver worth $20 million in just 12 years. Its population was 3,500. It was home to brothels, hotels, a school district, and local newspapers. Calico was thriving until the late 1890s when, suddenly, the price of silver dropped. By 1907, the town had been abandoned. In 1951, Walter Knott, of Knott’s Berry Farm fame, recognized the tourist potential of the town, bought it, and restored it to its original state. It was donated to the county regional park service in 1966 and now welcomes countless visitors every year. Located just an hour’s drive south of Vegas, Nelson is deep inside the Eldorado Canyon. It has a history going back to the 1770s when gold was first found here by Spanish explorers. A century later, prospectors opened the Techatticup Mine here and shootings and lawlessness reigned supreme. In fact, the town got its name from a miner who was murdered in the town in 1897. Today, the town has the look of a movie set, and, in fact, a number of movies were filmed here. 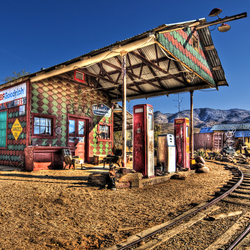 Although several original buildings and mines are still standing, they have now had other vintage items added to them, including airplane wreckage, a gas station, and an old school bus. Nelson has become very popular with photographers, and, on many days, you can see photo shoots taking place here. The perfect spot for a day trip, Goodsprings is just over a half-hour away from Las Vegas and takes the term “ghost” town to a whole new level. 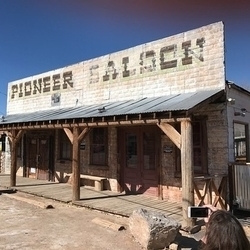 The Pioneer Saloon, which is the main landmark of the town, was once the site of several shootings and it is allegedly haunted by the spirits of gunfighters of the Old West. The saloon is also the oldest bar to still be in operation in Nevada. Not only does it serve patrons, it also plays host to parties and gatherings. If you are looking for a ghost town that is completely abandoned, St. Thomas is one of the best ghost towns to visit. While most other ghost towns maintain a minimal population, St. Thomas has no remaining residents. It wasn’t a mining center unlike the majority of other ghost towns in the Old West. St. Thomas was originally founded in 1865 by Mormons. In 1871, it was claimed by Nevada. Instead of agreeing to pay back their taxes to the state, its settlers chose to leave the town. By 1938, the town was completely abandoned when it was flooded by Lake Mead because of the construction of the Hoover Dam. Now, the lake’s water level has dropped dramatically because of drought, and the ruins of St. Thomas are visible and are a common place to visit while on a day trip to the Valley of Fire. Although many metals were mined from Chloride’s hills, it was silver that turned it into a boomtown during the 1900s. Its population grew to 2,000 residents and the Santa Fe Railroad even stopped in the town. But, during the 1940s, its population decreased when World War I made the cost of extracting ore too high. Today, Chloride still has around 300 residents, but the old days are still clearly evidenced, especially with the many historical wood structures that still stand, including the railroad station. Visitors here can enjoy the staged gunfights, tours of the old mine, and a visit to the modern art gallery. 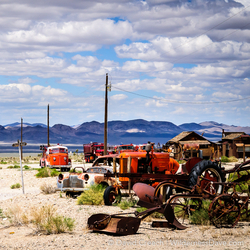 As you can imagine from its name, Goldfield’s boom was because of gold that was discovered nearby. Founded in 1902, Goldfield survived in 1940 and produced an enormous $86 million in gold. When it was at its height, Goldfield had 20,000 residents, two of the best-known were Wyatt Earp and his brother, Virgil. Today, many of the original buildings are still standing, and guests are able to tour the schoolhouse, as well as the courthouse and the Goldfield Hotel. Although it isn’t precisely a ghost town, it is still a popular draw for visitors who come to see the town’s history parade in August. 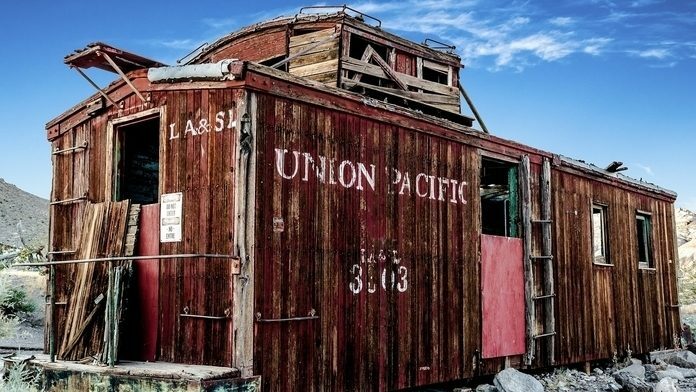 These are some of the best and most popular ghost towns in the Nevada area. If you’re keen to involve an element of history in your vacation in between trips to the gambling floor, one of these ghost towns could be the perfect spot for a day trip! Go back in time and learn more about the Old West and enjoy a fun day out.